MasterCard announced it has partnered with Dutch banks ABN AMRO and ING to launch contactless cards enabled with Maestro PayPass in the Netherlands by mid-2013. Maestro PayPass offers consumers fast and convenient payment options while shopping, benefiting both the consumer and the merchant by reducing checkout time. PayPass users are able to tap their contactless enabled card against a payment terminal allowing transaction details to be exchanged safely and effectively within seconds. Despite the number of card payment options, 63% of all point of sale payments in the Netherlands is still conducted with cash, said the two banks. 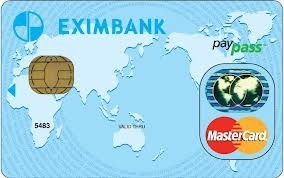 This movement paves the way to the introduction of contactless mobile payments in the Netherlands in 2013. Additionally, ABN AMRO and ING expect that by the second half of 2013, consumers will be able to pay with their smart phones at the cash register.